Little Dragon. 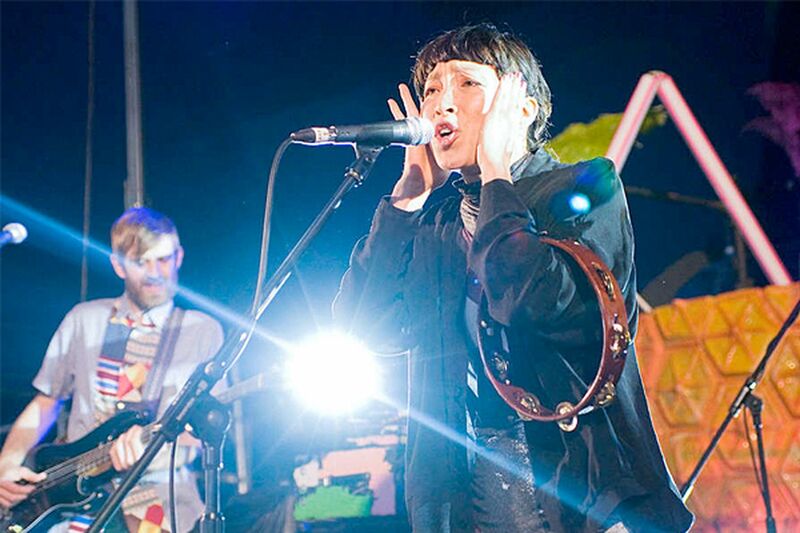 This Gothenburg, Sweden, underground quartet features Swedish-Japanese soul-pop singer Yukimi Nagano. They've found favor with in-the-know hip-hop heads like Questlove, Pharrell Williams, and Big Boi of OutKast. Monday at Union Transfer. Homeland. Worst mother in the world Carrie Mathison (Claire Danes) is headed back to Islamabad. Cold-blooded operative Peter Quinn (Rupert Friend) is proving to be all too human. And speaking of Saul, Mandy Patinkin's soulful former CIA chief, Saul Berenson, has an itch to leave the private sector behind. Post-Brody, Homeland is back on track. Sundays at 9 on Showtime. Hot 8 Brass Band. Adventurous young New Orleans brass band led by tuba player Bennie Pete brings the cacophonous funk to South Philly. Friday at Boot & Saddle. Frazey Ford. Canadian songwriter and founding member of folk-pop group the Be Good Tanyas went down South to Memphis to record Indian Ocean, her second solo album, with Al Green's backing band, the Hi Rhythm Section, including guitarist Mabon "Teenie" Hodges, who died this year. The results fuse patiently simmering Southern soul grooves with uncommonly intelligent songwriting. Thursday at Melodies Cafe in Ardmore.